Valve is showing the first downloadable content pack for Left 4 Dead 2, "The Passing," at today's X10 event. The new campaign is now aiming for a March release, the start of new content for the zombie apocalypse shooter. 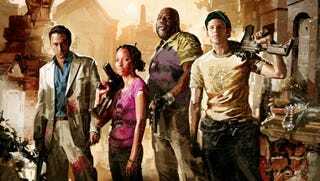 Valve says it plans to release "The Passing" on Xbox 360 and PC in "late March" with more details on the Left 4 Dead downloadable content coming soon.